ONE-THIRD of Hongkongers do not read even one book in a year, a survey on local reading habits found. 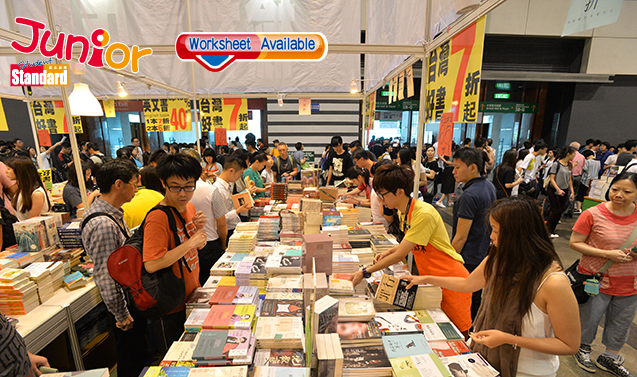 It is the second year the Hong Kong Publishing Professionals Society (香港出版學會) conducted the poll to influence cultural and educational policies. Of the 1,498 phone interviews, 32.4 percent said they do not read even one book a year. And among those aged under 18, 60 percent said they have never developed the habit of book reading. Two-thirds habitually read online, but they mostly go for news, news commentary or social media instead of reading electronic books, which are read by only 10.9 percent of web users. Some 55 percent of those who read are willing to purchase hardcover books, which they prefer over ebooks. Those aged 31-40 and above 60 have the lowest acceptance towards ebooks. But only a quarter of readers spend more than HK$500 on books a year. The main factors in buying a book are its attractive theme and content. Only 2.6 percent think price is an important factor. The younger generation consider reading as entertainment and a means to relax, while those aged above 41 prefer books with functions, such as healthcare or recipe books. A children’s book writer urged parents and teachers to read with children to nurture a reading habit before introducing them to different genres. The publishing body suggested the government follow the examples of the mainland and Taiwan and provide more reading space and facilities to the public, such as mini-libraries at parks and public transport stations.